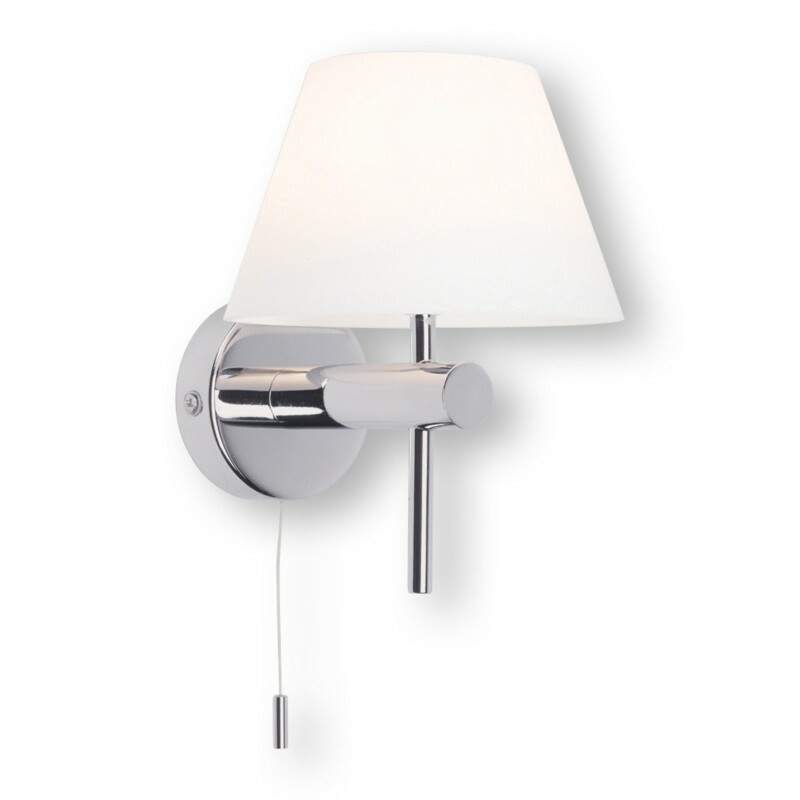 This is a bathroom wall light you will love and guests will love to talk about. Its polished chrome finish and white opal glass shade offer an elegant and contemporary aesthetic not often found bound as one. This uses a 40w (max) G9 lamp, with a 28w energy saving lamp included. The bathroom wall light is suitable for bathroom usage in zones 2 and 3 given its Class 2, double-insulated rating. This includes an integral pull-cord switch and glass component. Don't let this shapely contemporary artifact get away from your grip.